Apparently, the old gang graduated and is moving off into the bigger world of college, while new cast members have come into the Glee club. I never thought I’d say it–but–I think I’m hooked into the show. The storylines seem super relateable now, as characters are now pushed into the real world, still fighting & figuring out what their dreams are and how to pursue them. A slap at real life and a slap at the effects those can take on your relationships. And, for once, I have a character I can somehow relate to! 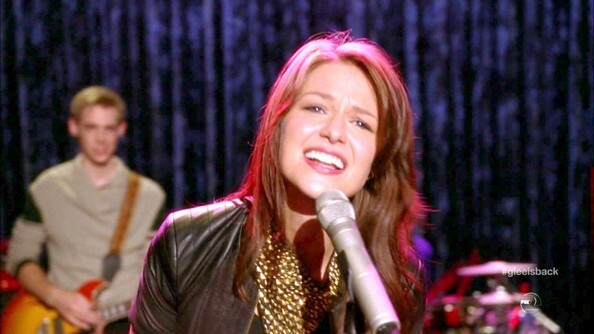 Melissa Benoist plays new-girl Marley, and, the second she stepped onto the show, there was a sweetness and genuineness I felt about her… and I absolutely love her voice and style. And I’m so surprised at their eclectic song choices on the show… From Natalie Imbruglia’s “Torn” to freakin’ making my heart scream to Tears For Fears’ “Everybody Wants To Rule The World”? I’m freakin’ hooked. It may sound cheesy, but shows like GLEE inspire me once again. They make me want to embrace my free-loving musical spirit, bringing me back to what makes me the most happiest. It’s funny. When you spend so much time and attention away from the things you love, you get lost. And I’ve been feeling that way for a while now… What for rekindling what once was mine? For fostering that young hope again, and not growing too cold about the world? It was never bad to dream big at our age, so why stop? ← What is it that your heart beats to?